Lungelo Matangira is a digital specialist at Eyewitness News. There has been an outcry on social media over the arrests, with many calling for the girls' release and an end to what has been called censorship in the east African country. Members of the public in the affected countries, as well as their surrounds, have been called upon to lend a helping hand through donations. DA leader Mmusi Maimane repeats the incorrect stat, takes a sip of Woolworths water and then states what he actually meant. 'Cutting Edge' takes a look at what drives people to these churches, the alleged bribing that occurs to get some to act out these 'miracles' and what can be done about it. 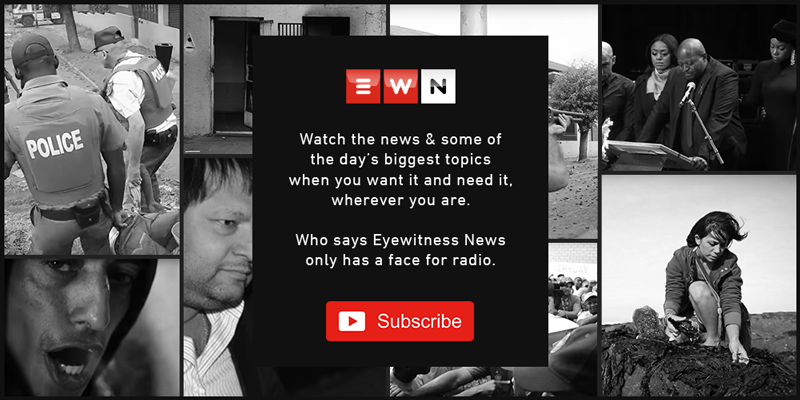 EWN sat down with Vincent Khosa - the hero in the viral video who saved a child from falling into the flood-swollen Jukskei River in Alexandra. Here’s his story. Earth tremor vs earthquake: What is the difference? If you're wondering whether you can tell the difference between the two, an expert says it depends on how far are you from the epicentre or point of rupture. Democratic Alliance (DA) leader Mmusi Maimane says he is confident the party will grow come 8 May in South Africa's general elections. Grammy-nominated R&B superstar Tamia is in SA for a 3-city tour. We sat down with her for a one-on-one ahead of her tour. Julius Malema has come out guns blazing against those implicated by former Bosasa executive Angelo Agrizzi in his testimony at the state capture inquiry. The president of the African Content Movement says that he was cleared of wrongdoing at an internal SABC disciplinary hearing 'by a white person'. Speaking to Eusebius McKaiser on Radio 702, former SABC COO Hlaudi Motsoeneng confirms that he received R1.1 million from Bosasa for his legal fees. 'Black Panther' bagged seven nominations in the 91st Oscar Awards.